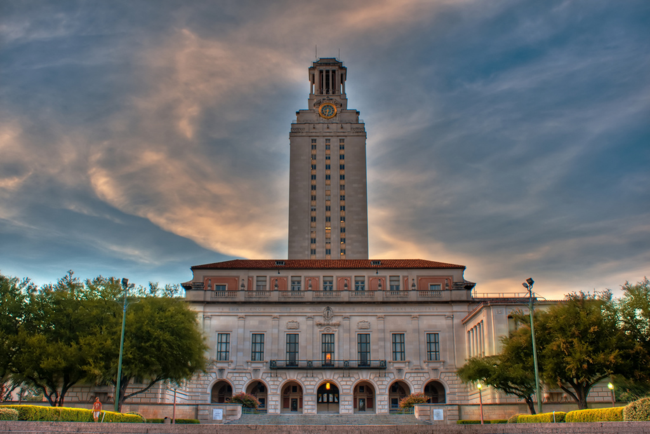 HOOKUPS, NOT HOOK ‘EM: Dozens of underwhelming University of Texas Law graduates have political connections. HOUSTON — Some of the least-qualified graduates of the University of Texas School of Law in recent years have high-level connections in the Legislature, which may explain how they got into the prestigious law school in the first place. A months-long Watchdog.org analysis of political influence on the admissions process at UT Law found there’s some truth, after all, to the old line about who you know mattering more than what you know. We found dozens of Longhorns who don’t know enough to be lawyers but know somebody important in the Legislature. Two of those mediocre students are legislators themselves. Some have connections to the leadership circle of House Speaker Joe Straus, others to powerful state Sen. Judith Zaffirini, who’s already been caught three times trying to pull end runs around the admissions process. Wallace Hall, a University of Texas regent, cited dozens of emails and letters that he obtained in a records review to support claims that some members of the Legislature abused their positions to influence admissions decisions. Barely two weeks after Hall began his investigation of influence peddling last June, the Legislature launched proceedings to impeach him. The correspondence Hall saw has been kept from the public, as have the conclusions of an inquiry into favoritism conducted by Chancellor Francisco Cigarroa. This Watchdog.org review of the record is meant to shine the available light on a process shrouded in secrecy by education privacy laws and by top school officials reluctant to embarrass powerful politicians, some of whom happen to be their friends. Watchdog.org found a pattern of overlapping political influence and underwhelming performance on the bar exam. Any single one of the cases we describe could have an alternate explanation, such as personal problems that derailed studies. Taken as a whole, however, they offer clear evidence that political influence is the reason dozens of students who are unable to pass the bar are getting into the state’s top law school. Wherever it’s possible to tell this story without using the names of people who are one or two degrees removed from public life, we’ll do so, for reasons of privacy. We will provide a complete list of names to any university official interested in a review. Until now, the most striking piece of evidence for the favoritism charge is the result of the February 2014 bar exam, published by the state Board of Law Examiners. UT is usually near the top of the list, with a passage rate for first time takers of about 95 percent. In February, UT’s 59 percent pass rate was dead last in Texas. That could be a fluke. But we’ve found two dozen reasons to think it’s not. Normally, almost nobody who gets into UT Law fails the bar. Watchdog.org found 90 students who had failed it twice or more. That should be reason enough for university officials to double-check their grades and Law School Admission Test — or LSAT — scores to see which students actually earned admission, and who benefited from a political favor. At least 15 of the students are politically connected, either through office, personal relationships, or campaign donations to officeholders who have figured in the fight over UT’s leadership. At least 12 of the students have roots in Laredo, home of state Sen. Judith Zaffirini, who is known to have pulled strings on behalf of other applicants. As Laredo has just 2 percent of the state’s population, it’s highly over represented in this sample. A half-dozen of the students have connections to state Rep. Joe Straus, his close allies, or a lobby shop that rose to prominence with Straus’s ascendance to speaker in 2009. Two of the students are known to have LSAT scores well below UT standards. James Ryan Pitts, son of House Appropriations Committee Chairman Jim Pitts, has now failed the bar exam three times since graduation after scoring a 155 and a 147 on the LSAT, which is scored on a scale of 120 to 180. Those scores rank in the 64th percentile and 33rd percentile nationwide, and are well below the scores in the mid-160s that UT usually requires. Another 2012 graduate with three LSAT scores in the 140s failed the bar exam twice, but because we don’t yet have scores for most of these students, we’re not singling her out and naming her. Last fall, Watchdog.org began compiling records of everyone who sat for the Texas bar exam from 2006 through 2013. We totaled the number of times each person failed the test, and then cross-referenced the list against a roster of students who had enrolled at UT Law. Out of nearly 2,700 UT law school students in that period, we found only 197 who had to retake the bar exam. First-time examinees from the nine law schools in Texas passed the July 2013 bar exam at a rate of 88.74 percent, higher than the rate in most states. If most students at the state’s lowest ranked law schools pass the test with ease, we wondered why anyone at its best law school would struggle. Two recent UT Law grads already were elected officials when they were admitted. State Rep. Richard Peña Raymond, like Zaffirini a Democrat from Laredo, who was first elected in 1992, failed the bar exam in 2007 and 2008, and is not a member of the Texas bar. State Rep. Eddie Rodriguez, D-Austin, first elected in 2002, failed the bar three times between 2010 and 2012, and is not a member of the bar, either. One of Rodriguez’s senior staffers, also a UT Law grad, failed the bar three times between 2009 and 2010. Rodriguez works for the law firm of Brown McCarroll, which dove deep into lobbying during the 2008 election cycle. When Straus led a post-election coup to unseat Republican Speaker Tom Craddick with his “Gang of 11” Republicans and the support of the Democratic caucus, Brown McCarroll was one of the biggest beneficiaries, according to Capitol Inside. Thanks to the former Straus staffers and the Democratic officeholders it employed, Brown McCarroll was suddenly the second most influential law firm lobby shop in town. Among its other employees were state Sen. Kirk Watson, a critic of Regent Hall, and former state Rep. Pete Gallego, now a congressman. Gallego was instrumental in organizing the Democrats to support Straus, and Straus made him chairman of the Criminal Jurisprudence Committee in return. Neither Raymond nor Rodriguez responded to a request by Watchdog.org for comment. The firm, which merged last year with Husch Blackwell, also recently hired state Rep. Ferdinand “Trey” Fischer, who, like Watson, has been a fierce critic of Hall. One of Brown McCarroll’s chief lobbyists at the time was Patrick V. Reinhart, a former Straus staffer. Reinhart failed the bar three times between 2008 and 2010, about the time Raymond and Rodriguez were failing their exams, twice and three times, respectively. Gallego’s longtime chief of staff, Martin Lujan, failed the bar three times during 2012 and 2013. Of the nearly 2,700 UT Law students to take the exam since 2006, only 29 have failed it three times or more. Thirteen made our list for closer inspection, and seven of those have ties to Laredo. As of the February 2014 exam, Ryan Pitts, son of the outgoing Appropriations Committee chairman and one of Straus’ Gang of 11, has failed the bar three times. Robert B. Armstrong, for years legislative director for longtime state Rep. Charlie Geren, another member of the Gang of 11 and a top Straus lieutenant, passed the bar on his third try in 2008. Armstrong is the son of Gaylord B. Armstrong, one of the state’s top lobbyists until 2011, when he was forced to resign from McGinnis Lochridge & Kilgore after writing himself $125,000 in checks from a client’s account. Between 2002 and 2008 McGinnis Lochridge gave $85,000 to Lt. Gov. David Dewhurst, who is close to UT President Bill Powers, a chief Hall antagonist. Another three-time bar failure is the daughter of an executive with the Texas Bankers Association, which has donated to a half-dozen prominent friends of Powers in the Legislature. Among the Laredo-connected bar failures are two brothers whose father is a top city health official who has worked with Zaffirini on state-funded projects. Another needed six tries to pass the bar and another passed on his fifth try. Since this last graduate’s family has donated more than $52,000 over the years to Zaffirini, we asked the senator’s office whether the senator’s law school support was mercenary or a matter of family connections. Aside from two names, the remaining double flunkies on our list of 24 hail from Laredo. One of the others is a friend of Fischer. The other is a former staffer for Gov. Rick Perry and ex-state Rep. Carl Isett. Some of the graduates who failed the bar just once might raise eyebrows. The list includes the child of a UT Law professor, the grandchild of a Pitts supporter, and the grandchild of a former governor, but we didn’t check out too many of these names, as anybody could screw up the bar exam once. The UT System Board of Regents is scheduled to discuss admissions favoritism during a private meeting Thursday. Cigarroa’s report on the issue has been finished for nearly a month. Our inquiry prompted Zaffirini’s chief of staff, Sean Griffin, to ask the UT System’s legislative liaison, Barry McBee, to find out where Watchdog.org was getting its information on her recommendations. Griffin figured that Wallace Hall had to be our source. He even scolded McBee for not giving him a heads-up that Hall had gotten some Zaffirini-related records. “We thought our standing request for these documents was still applicable,” he wrote. Nobody leaked anything to Watchdog.org. We just figured it out. Earl Glynn contributed to this report. Jon Cassidy is the Texas bureau chief for Watchdog.org. Jon is a former reporter and editor for The Orange County Register in California and a reporter at The Hill in Washington, D.C. His work has been published by Fox News, Reason, Human Events, The American Spectator, and other publications. He is a 2014 Robert Novak Journalism Fellow and a graduate of the University of Southern California. He and his wife Michelle live just outside Houston with their two children.